We appreciate your business. Please feel free to leave us testimonials that we can add to our website. Thank you. 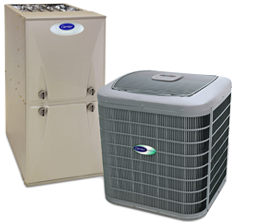 Your crew did a fine job replacing our furnace, air conditioner and hot water tank. They worked quickly and completed the task in less than a day. When the job was completed, one of your installers walked me thru the process of controlling heat and humidity. At the end of the day everything was cleaned up and the old equipment was removed from the site. I would definitely recommend your company and crew to anyone considering upgrading.